RSVP Here! Discover how we can help you achieve your writing goals. Our students publish, win awards, and join a life-long, supportive writing community. Registration is required. 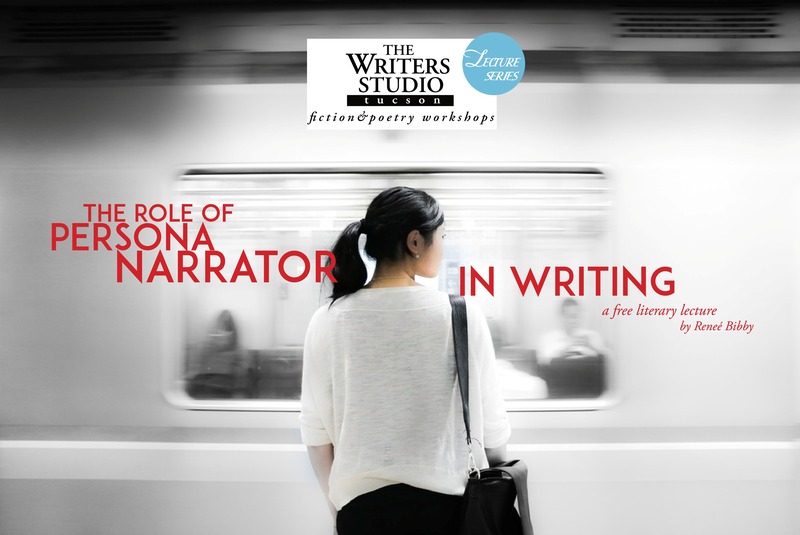 To learn more about the Writers Studio, including our upcoming spring class schedule, visit us at writerstudio.com. Reneé Bibby, Janelle Drumwright, and Lela Scott MacNeil, Writers Studio teachers, will offer an introduction to The Writers Studio method. Learn about the elements of craft and receive a writing exercise to begin a story or a poem. A Writers Studio student will present an example of his or her work in response to the exercise.Beginners and advanced writers welcome! RENEÉ BIBBY is the assistant director of The Writers Studio Tucson and a fiction writer trained in The Writers Studio method. She graduated from Grinnell College. She has been published in Black & BLUE and Crack The Spine. Contact Janelle Drumwright to reserve your space in the free class. Registration is required. To learn more about The Writers Studio, including our upcoming summer class schedule, visit writerstudio.com. Reneé Bibby, Lela Scott MacNeil and Janelle Drumwright, Writers Studio teachers, will offer an introduction to The Writers Studio method. Learn about the elements of craft and receive a writing exercise to begin a story or a poem. A Writers Studio student will present an example of his or her work in response to the exercise.Beginners and advanced writers welcome. The Writers Studio, a 27-year-old writing school founded in New York City by 2008 Pulitzer Prize winner Philip Schultz, began its first highly successful 10-week creative writing workshop in Tucson in June 2005. Since then, The Writers Studio Tucson has grown, offering three levels of classes. 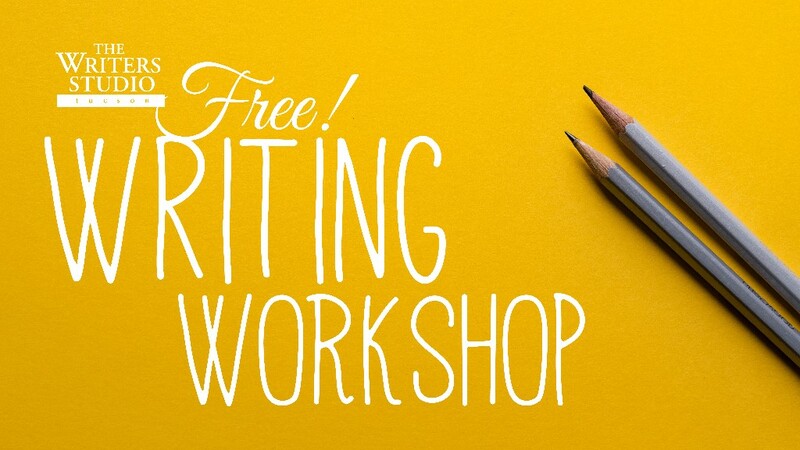 Attend the free introductory class and learn about The Writers Studio’s unique, craft-oriented method, which for the last nine years has helped advanced and novice Tucson writers realize their full creative potential. The Writers Studio Tucson is proud to present a new reading series featuring the work of writers from The Writers Studio Advanced Workshop. Founded in New York City by Pulitzer Prize winning poet Philip Schultz, the Writers Studio has been helping writers achieve full creative potential since 1987. With branches in New York, San Francisco, Amsterdam, and Tucson, the Writers Studio offers a supportive community for writers to study craft and achieve their writing goals. Join our writers as they read new work developed during their time at the Writers Studio. David Anderson was raised in Ohio, came to Arizona to attend the University, and has been here ever since. He is a former teacher and school administrator, and he currently writes and takes photographs in Catalina, Arizona. He is a student in the Advanced Workshop at the Writers Studio Tucson. Whenever Reneé Bibby gets a new version of Word she changes to the autocorrect to automatically add the accent aigu onto the last e. As she was learning to write her name, her parents dubbed the necessary diacritic as a “special feather,” cracking the normal world open to reveal a world of whimsy, the unique, and off-beat—all themes that now infuse her writing. She is a fiction writer, a student of the Advanced Workshop at the Writers Studio, Tucson, a teacher at the Writer Studio, and a founding member of the Low Writer Collective. She has been published in Black & BLUE, andCrack The Spine. Lela Scott MacNeil was born in Los Alamos, New Mexico, same as the atomic bomb. She has, at various points in her life, been a young girl in a Hans Christian Anderson Fairy Tale, an indie film producer, a scofflaw, a small-time revolutionary, a screenwriter, a big-time corporate marketing executive, a film festival organizer, a tattoo enthusiast, and a recovering New Yorker. She currently works for the University of Arizona Press and teaches creative writing at the Writers Studio Tucson. She is an MFA Candidate in Fiction at the University of Arizona and a student in the Advanced Workshop at the Writers Studio Tucson. Her fiction is forthcoming from Gertrude and Gutter Books. Although Lilian Vercauteren likes to tell her friends that she was born in Narnia, it was in actuality Naarden, a small fortified, star-shaped city not too far from a place called Amsterdam. Taking a break from the Dutch weather, she flew to the US at age 22 with the famous last words, “I will be back in a year or so.” Of course “or so” is always open for various interpretations. Eight years later she lives in Tucson, where she started following the yellow brick road, better known as creative fiction writing that might one day fork off into screen writing. She is a student in the Advanced Class of the Writers Studio and a member of the Low Writers Collective. While she misses the ocean, she compensates with an acquired taste for monsoons and tacos. Both are wet and salty after all.